Have you ever tried solving a Rubik’s cube? It’s a great game – a BRAIN GYM. I saw a Rubik’s cube on my colleague’s table today and I couldn’t stop myself from giving it a try. Initially, I found it very hard but I did not want to give up so easily. I partially solved it after befriending it for an hour. I was so happy !! I was on cloud nine ! I wanted to spend some more time and solve it fully, but I had to return it to my colleague. I created it on my nails so that I could take it with me. I can now play on my nails whenever I want. 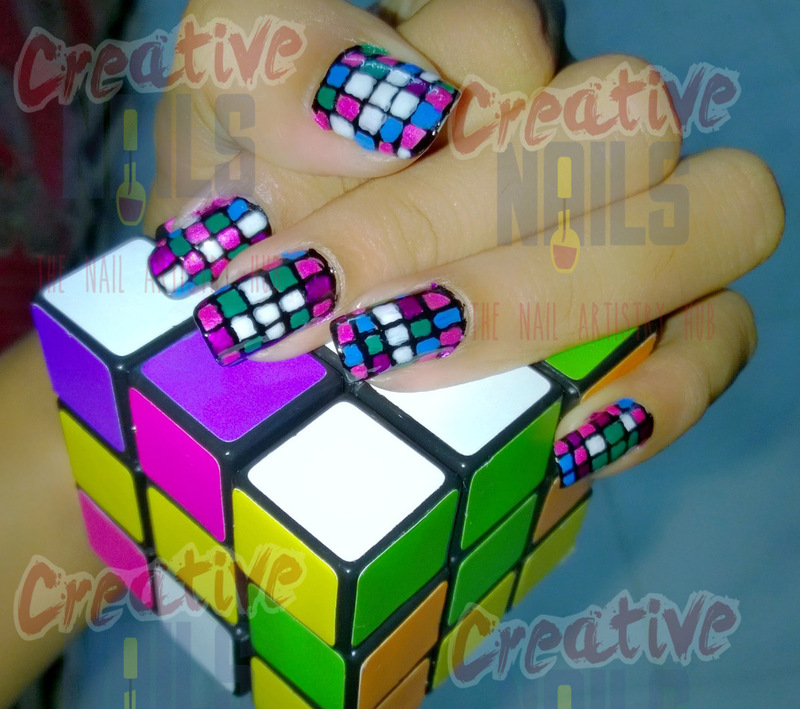 You too can try this nail art and give your brains a nice exercise !! Enjoy nail art with creative nails! !